If you like fishing a varied list of species, both large and small, you would be much better off with a medium-action rod with sufficiently fast recovery and long distance casting. And if the budget is limited, which so often is the case, you would need to find a rod that provides all these qualities at a reasonable price. Some anglers might tell you that’s very unlikely. Well, that might have been the case in the past, but not anymore. 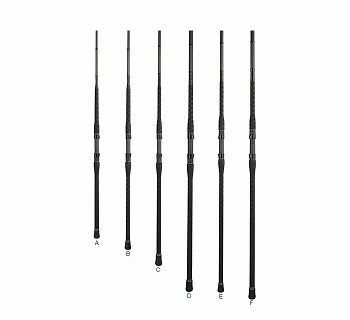 Penn Surf Spinning Rod offers all these qualities and some more at a reasonable price. Penn rod is designed to handle large to medium fish. With its medium-heavy action, you would have no problem in catching some nice sized fish. Strong and resilient, the rod doesn’t buck under pressure, which is good for you as you wouldn’t have to worry about broken tackles and lost fish. Thanks to its 12-feet length, you can cast it long distance and effortlessly reach the target. The rod has a 2-piece design, so it is comfortable to carry around. The rod offers several advantages to anglers, some of which are shared ahead. 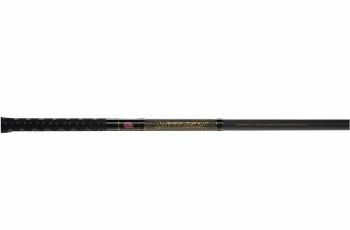 Penn surf rod gives you enough power to effectively handle large to medium fish. We cannot emphasize the importance of picking a rod with a power value suitable for the kind of fishing you intend to do. 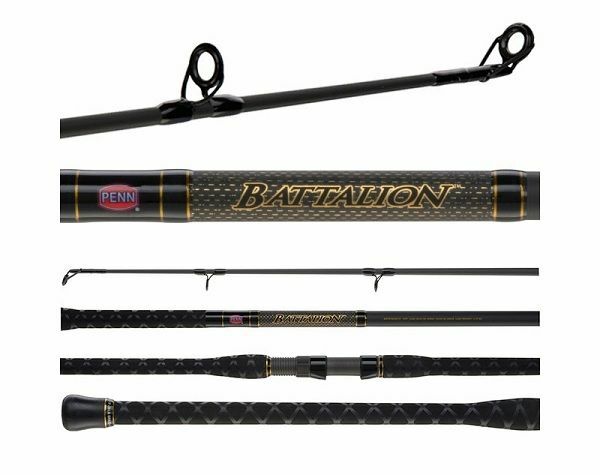 If you enjoy catching largemouth bass, pike, musky, and the like, you need a rod that shows strong, unrelenting resilience against heavy pulling by big fish. Penn 2-piece rod is one such fishing rod. You can rely on it to give you the required support and stability you would need to reel in large fish. Understanding the flex point of a rod is extremely important because you must pick a rod that’s suitable for your style of fishing. 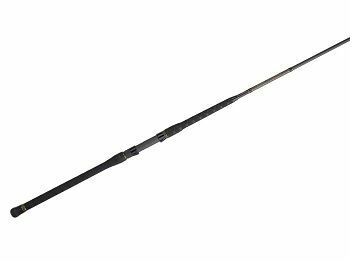 Being a medium action rod, Penn rod bends in the top half of its length, making something like a ‘C’, when pressure is put on its tip. You can fish both large and small species with decent control. The rod also provides you sufficient hook setting power. Whether you are an experienced angler or a beginner, you will be able to use it to fish in different fishing environs. Thanks to its medium action and ample body length, it allows you to cast a long distance accurately and effortlessly. There are fast action rods which recover fast load poorly and moderate action rods which recover poorly and but load superbly. As you can see both have their limitations. However, there are a few rods which have moderate action with fast recovery. This Penn rod is one such rod. It offers you best of both worlds. As any experienced angler will tell you, sensitivity is important and this rod doesn’t disappoint on this front too. Yes, it is strong and powerful, but it also offers decent sensitivity, and this helps when your move lure moves underwater. Thanks to its strong building material, this surf spinning rod has enough resilience in it. You can catch sufficiently big fish species without it even giving so much as a hint of breaking. Length of a rod plays an important role in casting as well as fish-fighting power. If the rod is sufficiently long, you can cast long distance with less effort. Penn rod is 12 feet long, and that’s quite a lot. So you don’t have worry even a bit about its ability to cast long distance. This is a two-piece rod, so you can also carry it with you fairly easily. It is also extremely simple to assemble, making it a perfect travel rod. It is clear that Penn rod has all the qualities to make it a popular rod. It is powerful, comfortable to use, and versatile to allow you to fish different types of fish. 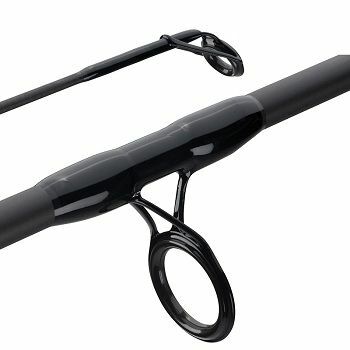 Overall, this is pretty good surf rod and probably the best in its price range. You would love to use it and the complements you’ll get from other anglers on picking such a winner!